Did you know you’re in a fight for your life? Every day you enter the ring and duke it out with your opponent. On the days you win, you get to implement your vision for life. Yet each day you lose, your opponent gets to implement his vision for your life. Your opponent, by the way, is a cagey character. His name is Procrastination, and he practices the rope-a-dope strategy. He promises ease, relaxation, and happiness, but don’t fall for his lies. Instead of ease, relaxation, and happiness, his plan leads to struggles, emptiness, and even depression. How can you beat your opponent? In this episode of The Live It Forward Show, we focus on 3 simple ideas that will help you punch procrastination in the face! Speaking of procrastination, if you haven’t entered our podcast launch contest, what are you waiting for? The contest ends June 2. Don’t procrastinate any longer! Enter now to secure your chance to win some great prizes. 2. Reminder: Q&A Episode scheduled for June 1 − email askkent@liveitforward.com to submit your question. 3. Reminder: Contest ends June 1. 4. Get Paid to Speak—Speak It Forward Boot Camp. 6. 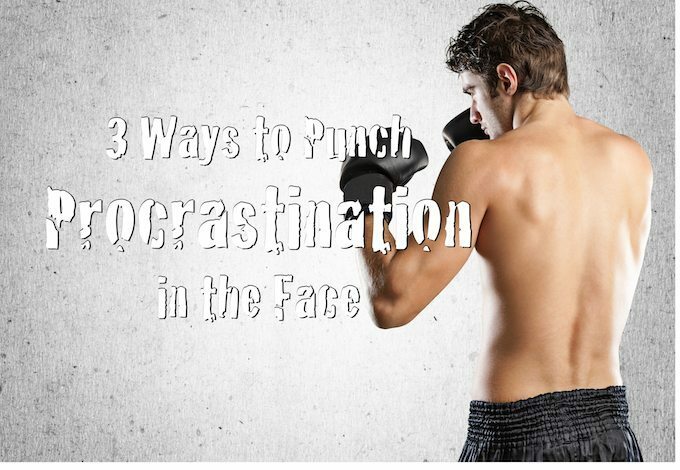 Three Ways to to Fight Back Against Procrastination. Vote to Get After It. Thank you for joining us this week for The Live It Forward Show. Do you have feedback or questions about this episode? Leave a note in the comment section below.